Last year for Luca's birthday, we decided to go to Fire It Up Pottery. 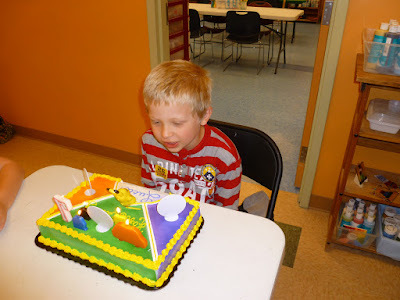 They offer a birthday party package where the kids can make one of a couple of different types of crafts. 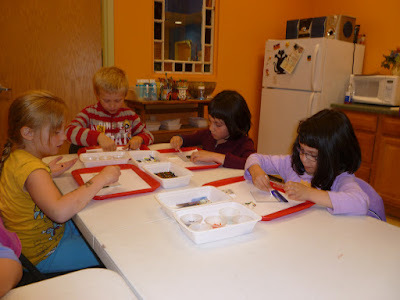 Luca chose to do sun catchers made of melted glass. We had friends from school and around the neighborhood attend. It was a lot of fun, and I recommend it! 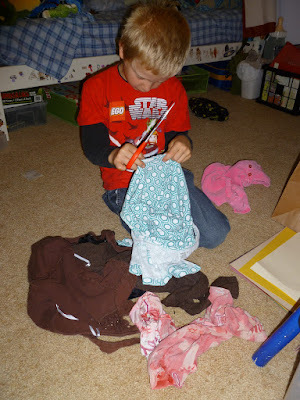 Later on, Luca spent some time making a collage out of old clothing. Very creative! Astrid had a few cute pictures from preschool during the fall. 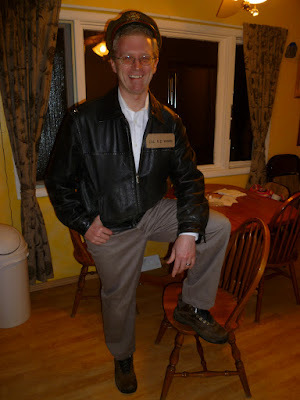 For Halloween, I decided to put some effort into a costume and go as Colonel Hogan from Hogan's Heroes. Kyra started watching the show and really liked it. I got her the complete series for her birthday, and we watched the show all summer. I found the hat on an online auction. The coat is not the right style at all, but I wasn't able to find a good cheap one for the costume. It does have the correct shoulder pins for a colonel. I made the name badge out of cardboard, and I had ordered a star patch for the left arm, but it arrived too late. 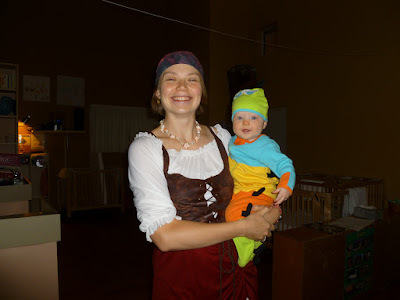 Kyra went as a pirate and Astrid was a caterpillar. Actually, the caterpillar outfit was her take-home outfit after she was born, and it still fit. 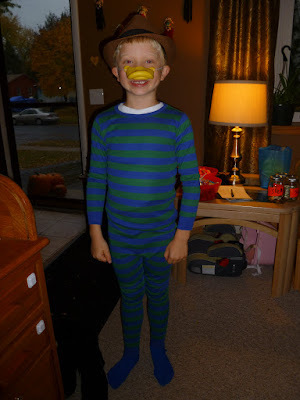 Luca went as Perry the Platypus from the kids' show Phineas and Ferb. Perry, or "Agent P", has a secret life as a spy for the Organization Without a Cool Acronym (OWCA), foiling bad guys' plans. Yes, he did have a beaver tail. 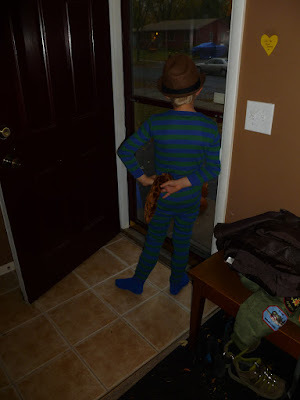 The odd thing is Luca had a coat with Agent P on it, and we couldn't figure out what it was from for the longest time, until he started watching the show on Netflix. 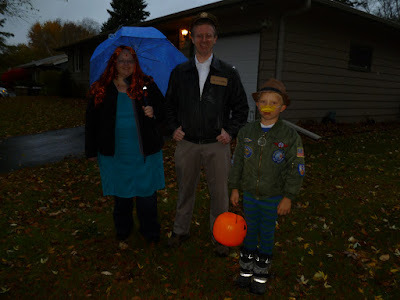 Here we are with Auntie Megan, who went as Ponyo's mother from the eponymous movie Ponyo. Ponyo's mother, a sea goddess (the "Goddess of Mercy") had a jellyfish-like umbrella. I can't remember why Luca was grouchy. Probably because we were delaying his candy looting by a few seconds by taking pictures. For Thanksgiving, we attended Kyra's family's Thanksgiving at John and Vicki's. It had been several years since we attended, so we thought we should go, especially with the new kiddo. 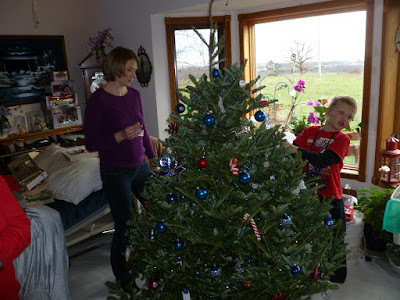 On the following Saturday, we went to my grandparents' house. 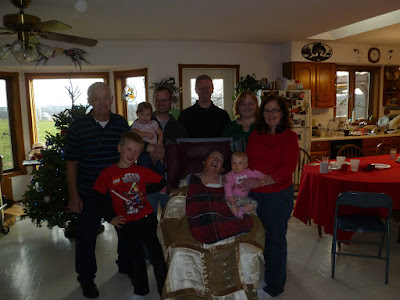 From left to right: Great Grandpa, Luca, Luma (our niece), Uncle Kenny, me, Great Grandma (seated), Astrid, Auntie Megan, and Grandma Teresa. Kyra was taking the picture. Aunt Joana attended, too. 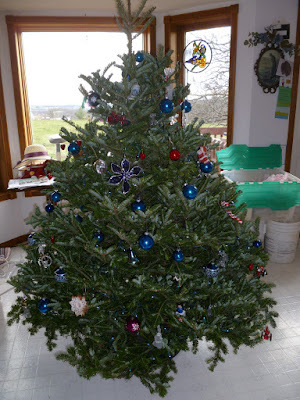 The Christmas tree arrived earlier, so we took the time to decorate. Whew! I finally made it through 2015. That took way too long. Now let's stay on top of 2016!